NBC has announced premiere dates for the new high stakes adventure competition series Get Out Alive With Bear Grylls, and the highly anticipated summer dramedy Camp, while also setting debuts for new comedy Save Me and returning reality American Ninja Warrior. As previously announced, America's Got Talent premieres its eighth season on Tuesday, June 4 from 9-11pm ET and will air weekly in that block. America's Got Talent begins its Wednesday run on July 10 from 9-10 pm ET. Back to the new announcements, Anne Heche stars in the comedy Save Me, which is set to debut Thursday, May 23 at 8 and 8:30 pm ET with two back-to-back episodes. Heche portrays a Midwestern mom and wife who undergoes a spiritual awakening after suffering a near-death experience. The series will air for four weeks, as of now, through June 13. This looks like a burn-off. Next, on Monday, July 1 from 8-10 pm ET, the summer favorite American Ninja Warrior returns to the NBC lineup with a two-hour special. The series, with hosts Matt Iseman and former NFL player Akbar Gbaja Biamila, will return to its regularly scheduled one-hour timeslot Monday, July 8 from 8-9 pm ET. American Ninja Warrior also airs on NBCUniversal-owned Esquire Network. The series will lead into new reality Get Out Alive With Bear Grylls, which will make its debut Monday, July 8 at 9pm ET. It is a larger-than-life adventure reality competition series. Grylls, a world-renowned survivalist, leads a non-stop extreme-survival journey that tests 10 teams of two beyond their wildest imaginations as they venture into the unforgiving and dramatic landscape of New Zealand's South Island. Following the Wednesday premiere of America's Got Talent on July 10, new drama Camp, which stars Rachel Griffiths (Brothers & Sisters) as a divorced camp director looking for a fresh start. It will launch Wednesday, July 10 at 10pm ET. The series explores the campers and counselors at Little Otter Family Camp, where summer memories are made. In other minor updates, reruns of The Office and Parks & Recreation will follow Save Me from 9-10pm from May 23 to June 13. Then starting June 20, Parks & Recreation reruns will replace Save Me from 8-9pm, while The Office repeats air for a full hour from 9-10pm. The rest of the summer schedule will be repeats, with Grimm reruns on Fridays from 8-10pm into Rock Center. It's still unclear what will air on Tuesdays at 8pm starting June 25 following the conclusion of The Voice. And one final note, the season finale of Chicago Fire will now be on May 22 at 10pm, rather than May 15. View these new updates for the NBC summer 2013 schedule and stay with us for continued updates. 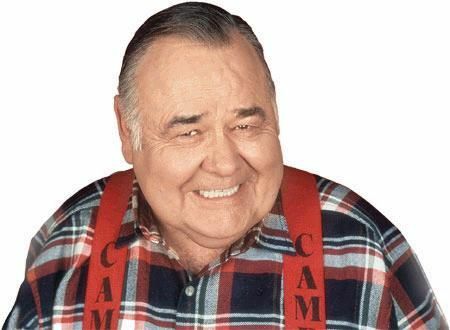 Actor and comedian Jonathan Winters, who appeared in Mork & Mindy and won an Emmy Award for his role in Davis Rules, has died. He died on April 11 in Montecito, California, of natural causes. Mr. Winters was 87. Winters first appeared on television in 1954 on the game show Chance of a Lifetime. Some of his early television appearances included Omnibus, Pass the Line, The Blue Angel, And Here's the Show and The Colgate Comedy Hour. Winters appeared in 17 episodes of The NBC Comedy Hour Show in 1956. In 1956-1957, he starred in The Jonathan Winters Show, which was a 15-minute comedy/variety series. He appeared as James Howard "Fats" Brown in a 1961 episode of Twilight Zone. Winters starred in his own one-hour variety show for two seasons from 1967-1969 on CBS. He later starred in the syndicated comedy variety series The Wacky World of Jonathan Winters from 1972-1974. Winters joined the cast of Mork & Mindy for its fourth and final season in 1981-1982. He played Mork & Mindy's child, Mearth. Winters was the idol of Robin Williams. Despite some funny improvised moments, the show struggled in the ratings and was canceled. Winters later became a regular in Hee Haw in the 1983-1984 season. He went on to voice Grandpa Smurf in The Smurfs from 1986-89. He voiced Papa Smurf in the 2011 film The Smurfs and the upcoming The Smurfs 2. In 1992, he voiced Mayor Cod in Fish Police, a 1992 CBS series featuring many stars like John Ritter, Ed Asner, Tim Curry and Robert Guillaume. His many other voice credits included The Pound Puppies, The Completely Mental Misadventures of Ed Grimley, Gravedale High, Garfield and Friends, Tiny Toon Adventures, Frosty Returns, Animaniacs and Yogi the Easter Bear. 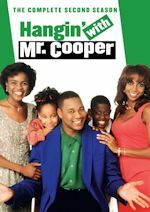 In 1991-1992, he starred in the ABC and later CBS sitcom Davis Rules. Winters played Gunny Davis, the eccentric father of Dwight Davis (Randy Quaid) who gave outlandish advice. He won an Emmy Award for his supporting role in 1991. In 2002, he received an Emmy nomination for his guest appearance in Life with Bonnie. Robin Williams presented Winters the Pioneer TV Land Award in 2008. The Archive of American Television conducted an extensive interview with him on October 11, 2002. Survivors include his two children Jay and Lucinda Winters and five grandchildren. His wife of more than 60 years, Eileen Schauder, died in 2009. Mr. Winters was a true comedic genius and legend. He was an idol and inspiration for many comedians. Hopefully they will release the final season of Mork & Mindy on DVD at some point. We thank him for bringing us many laughs over the years. Mr. Winters will be deeply missed. 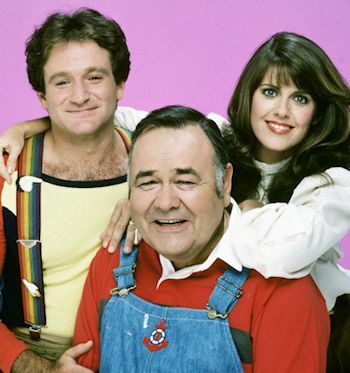 Share your memories on our Mork & Mindy message board. View photos in our galleries. 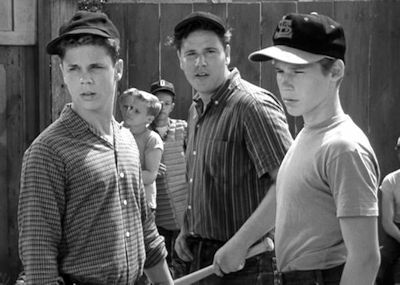 Actor Frank Bank, best known as Clarence "Lumpy" Rutherford in Leave it to Beaver, has died. Bank died on April 13 in Los Angeles from undisclosed causes. Mr. Bank had just celebrated his 71st birthday the day before on April 12. Bank first appeared in Leave it to Beaver in the first season episode "Lumpy Rutherford" on January 24, 1958. Lumpy was one of Wally's friends and the son of Fred Rutherford, who worked with Ward. Bank appeared in 50 episodes of the series during the six season run. He reprised his role in the sequel series, Still the Beaver/The New Leave it to Beaver, on The Disney Channel from 1985-1986 and WTBS from 1986-1989. In 1997, he had a cameo as Frank in the Leave it to Beaver film. 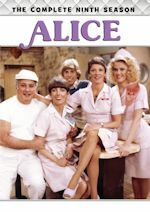 His other television guest appearances included The Ford Television Theatre, Father Knows Best, Cimarron City, Westinghouse Playhouse, 87th Precinct and Bachelor Father. He was also cast as Archie Andrews in the 1962 unsold pilot, Archie. In 1983, he appeared on Family Feud and Hollywood Squares. His film credits included The Story of Will Rogers as a young Will Rogers in 1952 and the 1983 TV movie High School U.S.A.. After his acting career ended, he became a stock-and-bond broker in Los Angeles. 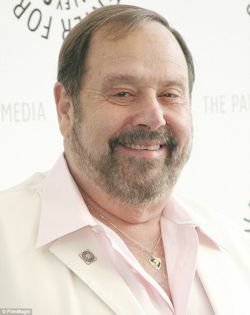 His autobiography, Call Me Lumpy: My Leave it to Beaver Days and Other Wild Hollywood Life, was released in 1997. Bank is survived by his wife, Rebecca; daughters Julie Bank, Kelly Lightner, Michelle Randall and Joanne Littman; and five grandchildren. Lumpy was a very funny and memorable character. He was a bit of a bully in his early appearances, but he eventually became more friendly in later episodes. It was always hilarious how he called his father his "Daddy". He was a lovable big oaf. Mr. Bank will be greatly missed. As we mentioned last week, Leave it to Beaver is moving to MeTV beginning Monday, May 6. 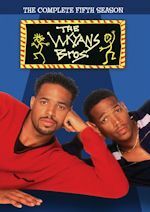 It will air weekdays at 9:00am & 9:30am ET. 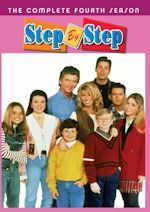 Antenna TV currently airs the series. They will have a previously scheduled all day marathon on Sunday, April 28. Stay with us for more news on that and any other updates. 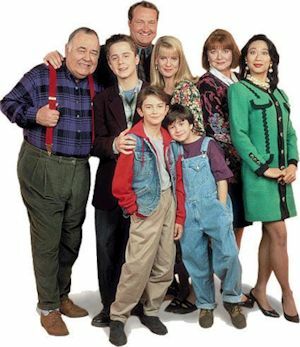 Share your memories on our Leave it to Beaver message board. View photos in our galleries.